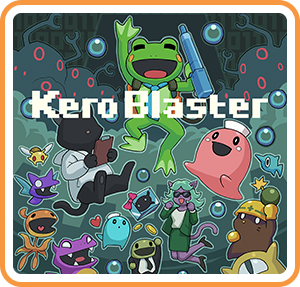 Kero Blaster is a platform video game created by Daisuke "Pixel" Amaya. It was released in 2014 for PC and iOS and is the first major project of Pixel since Cave Story in 2004. The game lays a heavy emphasis on shooting and got positive reviews on both platforms. A short, free demo titled Pink Hour has been available since a month before the full game's release. In Kero Blaster, the player controls a frog working for Cat & Frog, a teleporter company. Armed with a peashooter, he has to clean the teleporters of strange black monsters. The player has to work their way through a series of linear stages, by means of running, gunning and jumping. USGamer described the gameplay as "akin to ... Contra or old-school, pre-Symphony of the Night Castlevanias." Furthermore, the game is controlled by changing direction, jumping, firing your weapon and changing your weapon. Holding down the fire button continues to fire in the direction you were facing when you started shooting. Where can I buy Kero Blaster physical/digital?